Pattern and instructions are all in English language with U.S. imperial measurements. Clothing is also available under the "Patterns" section! The pattern comes as a file in PDF format with multiple pages of instruction and template pieces. Finished plush measures 10" tall. The pattern can be printed at home on A4 (size 8.5x11") paper. 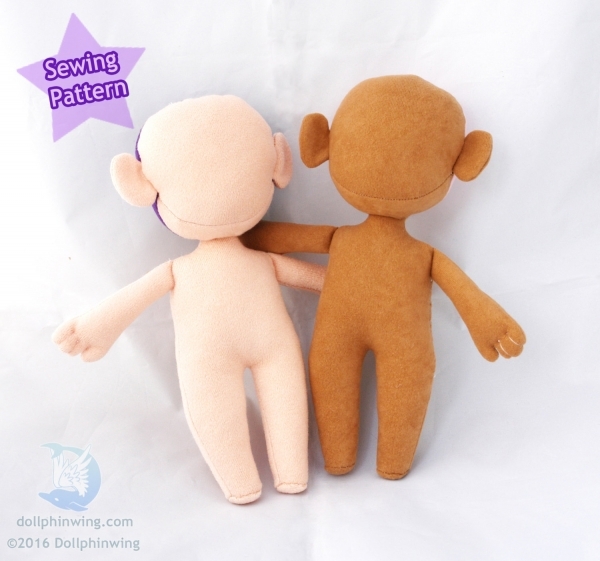 Feel free to sell what you make using this pattern! Please do not re-distribute or sell the pattern itself.